Anything & Everything that has to do with the movies! Watching, Reviewing, and even adding to my collection. Please Twitter Can I Take Back a Tweet? 1662 Salon East, Best place for a Pedicure or Snacks? Super Great Vacation Home near Disney! Universal’s Harry Potter! LegoLand! Golf! And Everything Orlando! 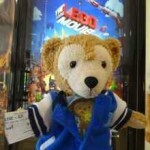 © The owner of Duffy Bear and www.myduffybear.com, [2010-2019]. Unauthorized use and/or duplication of this material without express and written permission from this blog’s author and/or owner is strictly prohibited. 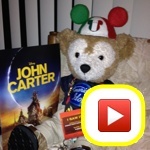 Excerpts and links may be used, provided that full and clear credit is given to ‘Duffy Bear, A.K.A Duffy the Disney Bear’ and ‘www.myduffybear.com’ with appropriate and specific direction to the original content. My Duffy Bear | Powered by Mantra & WordPress.